Asphalt roofing shingles are new alternative types of roofing materials. These lightweight roofing materials offer strength, durability and between 30 – 40 year warranty’s. 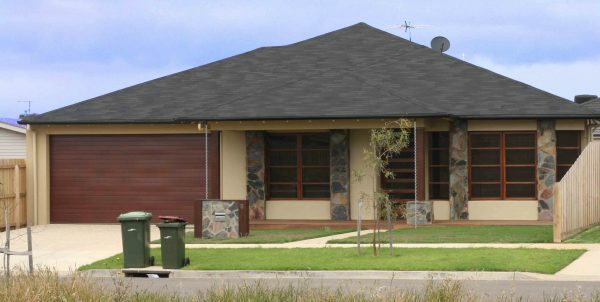 The versatility of asphalt roofing gives you protection to your home all year round, with the ability to face harsh Australian conditions. Asphalt roofing shingles are installed onto a 12mm marine grade plywood deck providing increased structural integrity to the entire building. Unlike heavier roofing materials like ceramic and slate tiles, asphalt roofing can be laid at almost any angle from 9.5 degree pitch to almost vertical. Asphalt shingle systems can be fitted by builders and roofing specialists, but their ease of use can have any handy home owners installing asphalt shingles in no time, saving you money on hiring additional contractors. Australian asphalt shingles are suitable for all roofing projects from home and industrial buildings to backyard sheds and gazebos. Asphalt roofing shingles have an ability to withstand severe heat exposure. If you living in a rural high fire risk area, rest assured knowing your asphalt roof won’t catch alight from stray ambers during the summer’s unfortunate bush fires season. Traditional roofing materials like ceramic tile roofing and shingle roofing are common in contemporary homes. However, the harsh Australian conditions do irreparable damage to brittle materials. Ideally homeowners are looking for a roof that is inexpensive, low maintenance and durable, with the ability to last the life of the home. With the rise of electricity and basic living costs, many builders and home owners are looking for building and roofing material alternatives that have environmental benefits that can also save them money. Different roofing materials will have their own benefits and drawbacks. However, like many building materials, investing in quality products can save you money in the long term. Built to handle extreme weather conditions you won’t be replacing fallen, chipped, discoloured or broken tiles at any time. Offering a clean, high quality look at an affordable price, asphalt tiles are a durable option. Adaptable to many applications and super simple to install, the versatility and durability of asphalt tiles makes them the most cost effective roofing solution guaranteed to last the longest. For more information contact The Asphalt Shingle Roofing Company for a Free roofing estimate. Call 0413 742 745 and secure the quality and value of your home today.